Randy K. Templeton, 65, of Blue Grass, Iowa, passed away on Sunday, March 24, 2019 surrounded by his loving family at the Clarissa C. Cook Hospice House in Bettendorf, Iowa. He had fought a year long battle with cancer/paraneoplastic syndrome with true courage & dignity. His smile could light up a room & his laugh could be heard in a crowd. He was our hero. Celebration of Life services will be held at 4:00 p.m., Saturday, March 30, 2019 at McGinnis-Chambers Funeral Home in Bettendorf. Visitation will be held from 1:00 p.m. until the time of the services on Saturday at the funeral home. A dinner gathering will be at the Elks Lodge in Davenport (4400 W. Central Park Ave.) following the service. In lieu of flowers, memorials may be made to the Clarissa C. Cook Hospice House. Randy was born on July 29, 1953 in Clinton, Iowa, the son of Ronald Kent & Georgia Mae (Archer) Templeton. He was a 1971 graduate of Maquoketa High School. Randy graduated from St. Ambrose University in 1991 with a BA in Industrial Engineering. Randy was united in marriage to Pamela S. Dorton on August 6, 1977 in Davenport. Celebrating over 41 years. Randy had been employed as a Quality Engineer with John Deere, retiring in 2016 after 31 years. He was a devoted Son, Husband, Father, Brother, Grandfather (Papa) and friend. Randy had a true love of the outdoors and was an avid big-game bow-hunter. 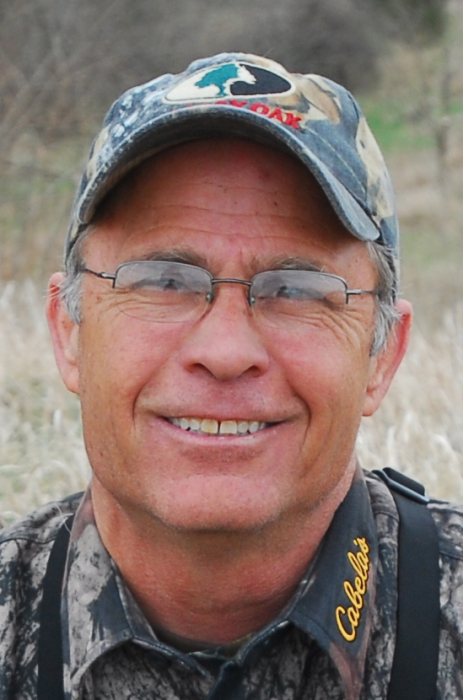 He was also an accomplished freelance writer and photographer for several bowhunting magazines for over 30 years with hundreds of published articles. He was a member & official scorer for the Pope & Young Club, and a former member of the Outdoor Writers Association of America (OWAA). Left behind to cherish his memory include his loving wife Pam, his loving daughter Shanna (Matt) Voss of Bettendorf, his loving son Scott (Michelle) Templeton of Eddyville, Iowa and son Travis Templeton of Bellevue, Iowa; seven wonderful grandchildren; his loving mother, Georgia Templeton of Clinton; his siblings, T.J. Templeton of Arizona, Pam Arnold of Alton, Illinois, Mark (Deb) Templeton of Maquoketa, Tracy (Verna) Templeton of Dandridge, Tennessee and Brian (Deb) Templeton of DeForest, Wisconsin; several nieces and nephews; and his sisters-in-laws and brothers-in-law, Debra (Rick) Ralfs of Walcott, Iowa, Diane (Jon) Robken of Davenport, Don (Liz) Dorton of Davenport and Steve Watt of Davenport. Randy was preceded in death by his father, Ronald Kent Templeton; his sister Marla Templeton-Oates & brother-in-law Jay Oates; his brother, Todd Templeton; his sister-in-law, Kathy L Watt; and father and mother-in-law, Frederick & Nancy Dorton. Our family would like to thank University of Iowa Holden Cancer Centers Dr. Furqan M.D. and Evan Eastman PA, Genesis Home Visiting nurse Kyle, home Physical Therapist Rachel, Outpatient Physical Therapy Liz and Pam, Genesis Home Hospice nurse Tami and Randy's nurses & aides at the Clarissa C. Cook Hospice House for their excellent care with true compassion. All of you made a difference in our lives. Fly High our Angel and as Randy always said at the end of every one of his published articles: Good Luck & Happy Hunting! Online condolences may be expressed to the family by visiting Randy’s obituary at www.McGinnis-Chambers.com.